Starting a garden is a great way to reduce your carbon footprint by reducing the amount of plastics and fuel that are consumed. Furthermore, it gives you a chance to recycle instead of adding to the landfill. In today’s post, we have 10 great tips that can make starting that garden so much easier. Nobody said starting a garden was easy, but don’t let that put you off. Growing your own veggies is an incredibly satisfying and rewarding process that is completely worth the elbow grease. Just start off small and don’t get too carried away. Here are our top tips to make the whole process that little bit easier. 1. It’s all about location. This is probably the most important point and the one that will have the most impact on your level of success. There are 3 things to consider when choosing the location of your garden. a) Veggies need sun – ideally at least 6 hours of direct sunlight every day. The more sunlight, the better the yield and quality of vegetables. b) Veggies need good soil – a nice soft soil will allow the roots to penetrate deep into the ground. Make sure the water can drain away and doesn’t collect on top. Adding compost will give the plants vital nutrients. c) Think about the weather – make sure the plants aren’t exposed to strong winds or that they are in an area that is prone to flooding. Raised beds give better yields, aren’t affected by weeds, and offer better drainage than conventional plots. They also form a barrier to dissuade pests like snails from devouring your crops. The loose soil that is contained in the raised bed is just perfect for bumper crops with the minimum of fuss. 3. Use high quality seeds. The likelihood of a good crop is increased by using quality seeds that have been carefully selected through they years. 4. Plan for your environment. Think about the local weather and annual weather cycles that your location gets. Not every vegetable is suited to every location. If you have long, hot summers then choose plants that will thrive in these conditions. 5. Use a good compost. A good natural compost gives the plants the nutrients they need to grow big and strong and give those huge yields that you crave. Using a composting toilet is a great way to provide amazing natural compost for free. If you plan on making your own compost then you’ll also need a place to store it. 6. Plant easy to grow veggies. Some plants are more difficult than others to grow. 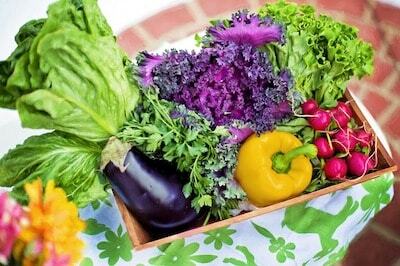 Make your life easy by starting with easy to grow vegetables. Once you’ve got a few seasons under your belt then move on to the harder stuff. Here are some vegetables that are considered great ones to start with. To make the most efficient use of space try and use trellising. By using vertical supports you can fit a lot more into a smaller space. 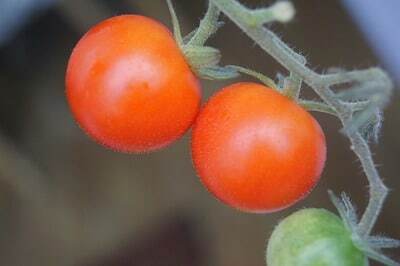 Tomato plants take to this extremely well and make them a very versatile crop to grow. Don’t miss our amazing guide to wind chimes after this! You should only plant the same crop in a place once every 3 years. Different plants prefer different nutrients so by rotating them you won’t deplete one nutrient completely in an area. Rotation can also prevent insects or diseases from taking a hold in a particular area. To rotate effectively you’ll need to keep a record of the layout of your garden each year. Keeping a record like this is a bit of extra work that can pay huge dividends down the line. 9. Take notes, and learn. Good gardening comes with experience. Make sure you pay attention to your failures and successes. 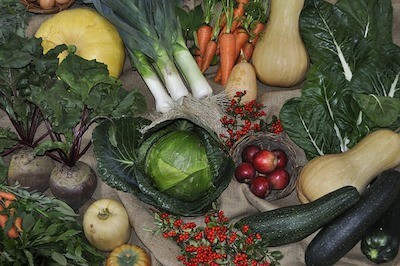 If a particular vegetable has done well, or a certain compost hasn’t then make sure you take a note of this. You might be the nicest, kindest person on the planet. But, in the garden you’ve always got enemies. Lot’s of them! Summer bugs – you can pick of the larger things like caterpillars by hand. You can use insecticidal spray to kill the rest. There are natural remedies available too. Spring bugs – you can cover young plants with translucent plastic sheets (row covers). These can also help to protect the plants from light frosts. Fungal disease – by watering the soil and not the leaves you can reduce of risk of fungal disease. If watering the leaves then allow them to dry off in sunlight and not remain damp for long. Rotation is also key here. By changing the location of plants each year then diseases can’t get a foothold in the garden. Big pests – by big pests we mean things like rabbits and deer. These can be kept out with fences. A fence will need to go several inches underground to stop digging rabbits. It will have to extend several feet in the air (maybe 8 or more) to deter jumping deer. Don’t miss our guide to gardening gifts that’s full of great ideas for that next birthday or Christmas. That’s all for today’s post on gardening tips. Check back soon as we’ve got more articles on green living coming soon. Join our mailing list or ‘Like’ us on Facebook to stay in the loop and never miss a thing. Trying to live a more energy efficient lifestyle? Check out our guide to energy efficient heaters to see how you can save time, energy, and money.